This health insurance review focuses on the Omaha Indemnity Company, which was first established in 1956. Omaha Indemnity’s original line of business was centered on life insurance products in the state of Nebraska. They were acquired by Mutual of Omaha some years ago and now deal with all of the insurance lines of their parent company. Although Omaha Indemnity still exists as a legal entity, it conducts all of its business under the Mutual of Omaha name. Your search for competitive health insurance rates online begins when you enter your zip code and put our free search tool to work. At the enterprise level, the company offers all of the same products and a few additions to help round out employee benefit packages. Mutual of Omaha is one of the nation’s most well-known insurance companies thanks to a television program they sponsored between 1963 and 1988. That program was known as “Mutual of Omaha’s Wild Kingdom.” The Animal Planet cable network acquired the rights to the program and revived it in 2002. Independent insurance agents love to represent companies like Mutual of Omaha because of their great name and reputation. In turn, Mutual of Omaha prefers to work with independent agents as a means of better servicing their customers. Because the company is so large, their agent network spans United States with agents located in almost every major city. Even if you live in a rural area, you ought to be able to find agents within reasonable driving distance. 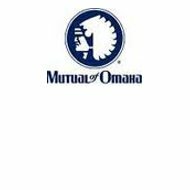 Mutual of Omaha provides an agent locator on its website but it is not very intuitive. It asks you to enter your zip code or the last name of the agent in question. If you enter your zip code, it will return results including every agent in your state. For some states, like New York and California, the list could be virtually endless. Wading through so many agents can be rather cumbersome. Mutual of Omaha is happy to provide quotes to consumers on an individual basis. One good way to get a quote is to visit the corporate website and use their online tool. It’s a simple tool that starts by asking you what type of product you’re after. You enter your zip code and a little more information, and then the tool will return a list of plans, along with a brief overview and the price. From there, you are free to contact an agent or the company directly if you’re interested in purchasing a policy. Keep in mind that this automated quote tool does not cover some of the products offered by Mutual of Omaha. That’s because they are too complicated to fit well into an automated system. For example, the monthly premium for annuities is never static because there are so many variables that go into writing an individual policy. For these types of insurance products, your best bet for getting a quote is to contact a local agent. Mutual of Omaha is known for excellent customer service. Perhaps that’s why they have remained in business for more than 100 years. That dedication to customer service is very apparent when you visit the corporate website. The website is a fountain of information and helpful tools that make dealing with the company a pleasure. For example, their site offers one section called Tools and Advice. This section is designed to help consumers determine the types of insurance they need and how much coverage is necessary. It includes tools such as insurance calculators and risk assessments. It also provides a good selection of helpful articles that explain different types of insurance is and how they can be used to your benefit. All of this help comes in addition to their customer service department, which is staffed 24-hours, seven days a week. The company is always available to answer your questions or help you with your policies. You can see health insurance quotes online, from companies just like Mutual of Omaha, by entering your zip code into our free search tool.